The Vietnamese name of this instrument is "Chuong" which is diferrent with the hanging "Chuong" (bell). This one sit on a cushion. 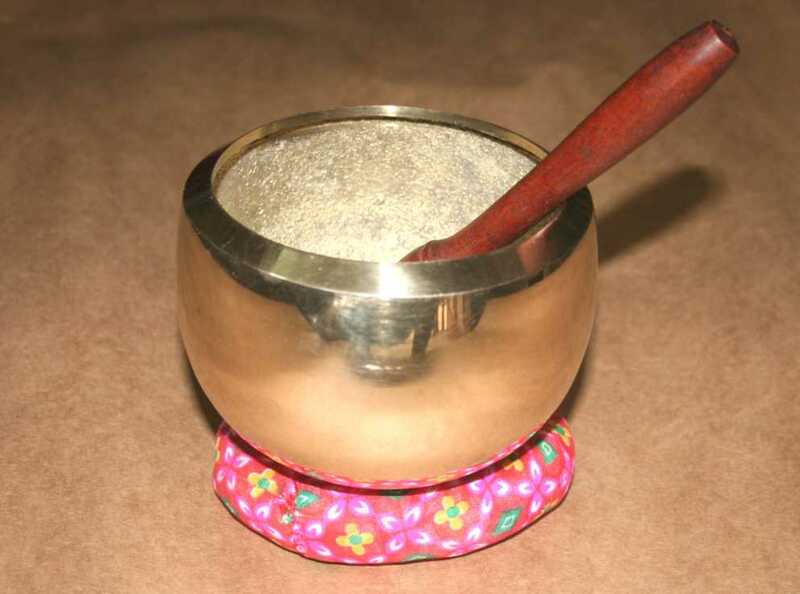 It is used in ritual ceremonies. 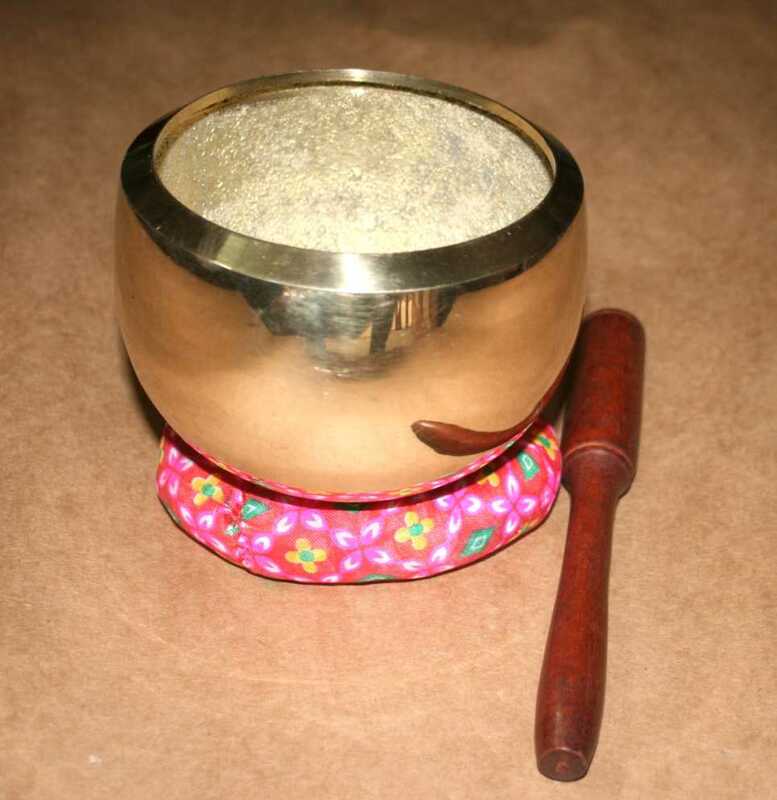 You often see and hear this in Vietnamese pagoda or in Vietnamese home where people use this instrument for buddish chanting and praying. It is used together with the Mok' Tok, Vietnamese name is Mo, it is use for beginning and to mark the end of a chapter. This brass bowl is of selected quality. It has very fine and melodic sound. Suitable for meditation and therapy. It come with cushion and simple wooden mallet.